Owned by Amy Jackson, Serene was the longest-standing resident of Copabella until she passed away in May 2016. 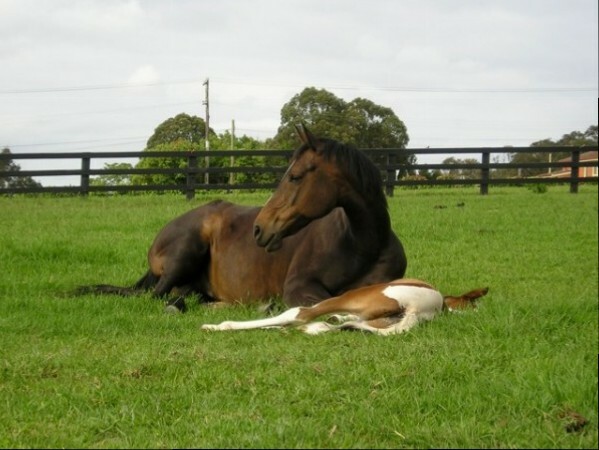 When we bought our first property in Arcadia in 1998, Serene was in situ as a boarder, and so she has remained, joining us on our move to a larger property in the area in 2002, and giving birth to Vail in our foaling paddock a few years later. Serene had a successful competition career as an Anglo show hack with Amy, bringing home big ribbons after every outing. She also had a few dressage outings, including a successful showing at Elementary in which she would have placed for sure if she hadn't tried to kick Amy's leg during shoulder-in then pig-rooted on the centre-line a few strides before the final halt. Everyone at Copabella was sad to see Serene pass, and she has been buried on the property not too far from Toddingham.